We all know bookshops are welcoming places where you can meet new friends (on and off the page), open your mind to different worlds and generally be yourself in friendly surroundings. but not all of us grew up with that understanding, some of us had to take the plunge and discover the joy of bookshops for ourselves. Which isn't always an easy thing to do – I was certainly pretty nervous before visiting my first bookshop, and these days for non-booky types I tend to guess their idea of a bookshop is somewhere quiet, dull and devoid of interesting people. Most of us know that's a load of rubbish, but for those in doubt this week's destination breaks all those stereotypes. 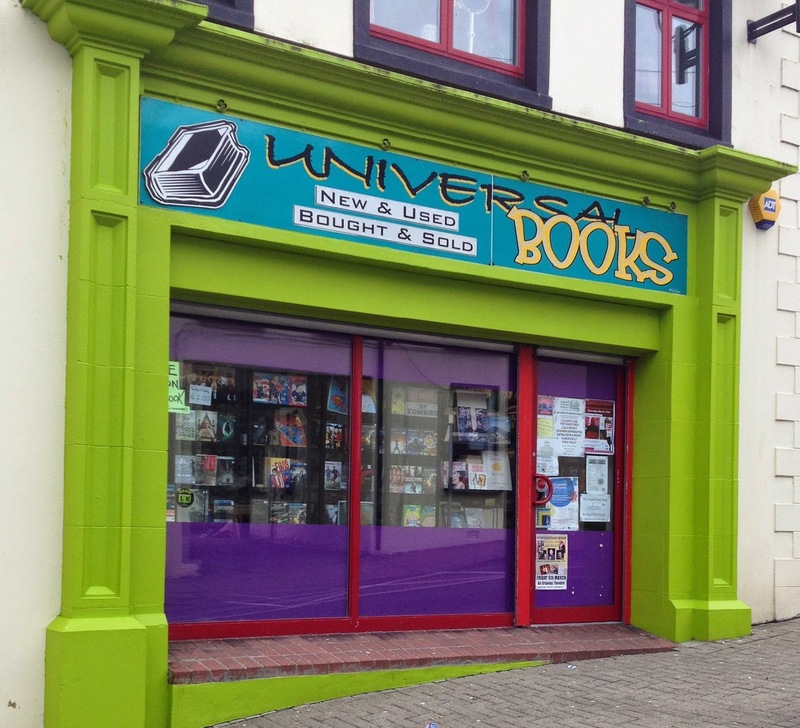 Universal Books, found just off the main road in Letterkenny in the north west of Ireland, is colourful and inviting on the outside. A theme that continues inside with an assortment of what can only be described as stuff, mixed between shelves of books, CDs and DVDs. Not forgetting – at the time of my visit – a number of young adult browsers, alternately considering purchases and chatting, their banter filling the room with laughter that had to be enjoyed. Roughly the size of a living room, the customers were scattered around the shop, browsing and chatting, with subjects ranging from the latest computer game to Scrabble to whatever they were looking at, leaving me able to participate or not as I made my way to the fiction along one wall. With books in a general alphabetical order but slightly mixed up to highlight certain titles, the shelves were equally colourful and eye-catching. 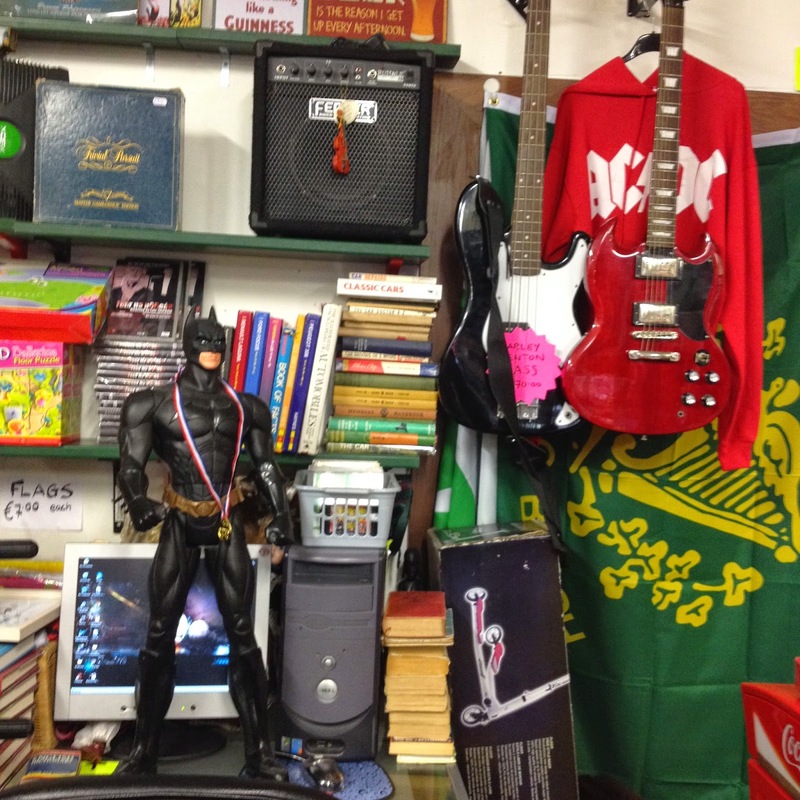 I stuck mainly to fiction but also browsed children's, Irish, classics and a good selection of non-fiction, resisting the urge to increase my music and film collection and enjoying the company of an alien, Batman and various others among the previously-mentioned 'stuff'. 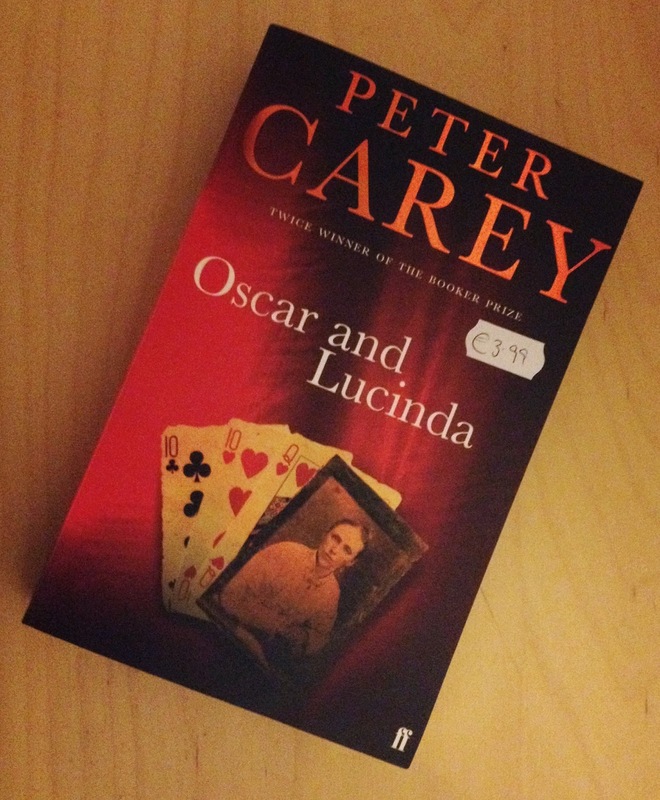 Selecting Peter Carey's Oscar and Lucinda, I decided to join the conversation with a hello at the till. The bookseller immediately treated me to the famous Irish friendliness, making me feel as though I'd been shopping there all my life, enjoying introductions to the other customers and even the offer of a biscuit. In their own words on Facebook, Universal Books is a "cool bookshop", and I couldn't agree more. It's the kind of place I'd've loved to hang out in as a teenager and would happily frequent now I'm in my 30s, were it a little closer to home. Sure, some may only visit because they're looking for music and films, but they're doing it in an independent shop so kudos to them: don't forget, these days few remember the joy of browsing an indie music shop and stumbling across new artists. For this reason alone I give Universal Books top marks for attracting customers and continuing that pleasure. 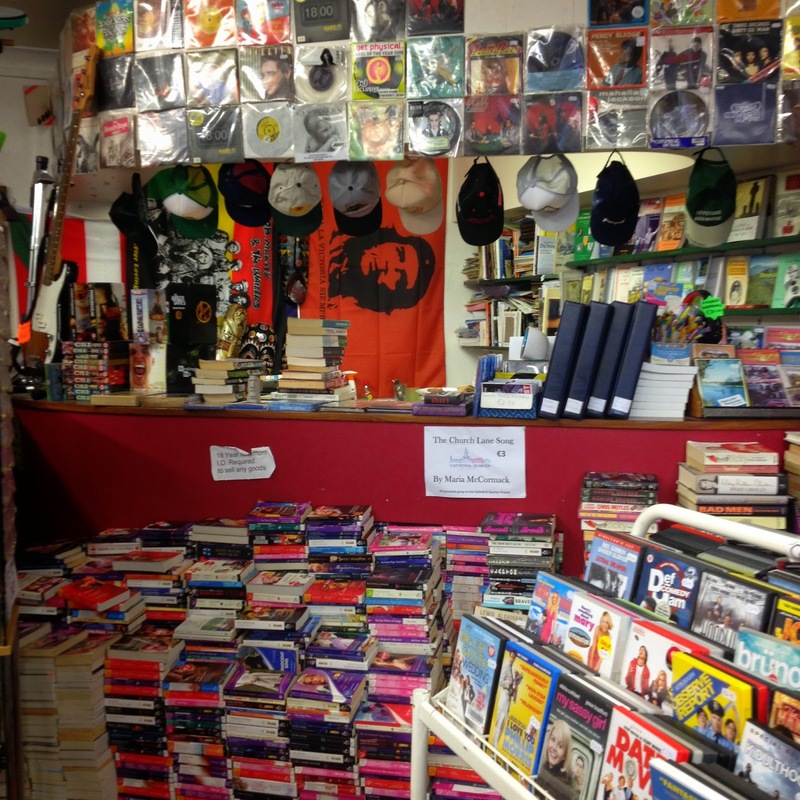 If, while hanging out, chatting and looking at those CDs and DVDs, the shoppers happen to notice the majority of their surroundings and pick up a book too then even better.